The American College of Physicians (ACP) is a national organization of internists—physician specialists who apply scientific knowledge and clinical expertise to the diagnosis, treatment, and compassionate care of adults. Internists are equipped to deal with whatever problem a patient brings—no matter how common or rare, how simple or complex. They are specially trained to solve puzzling diagnostic problems and can handle severe chronic illnesses and situations where several different illnesses may strike at the same time. Explore the possibility of a career at ACP! At ACP, we value our employees and offer superior benefits. We are an equal opportunity employer and encourage diversity. Benefits at ACP are world class! We offer competitive salaries and provide our employees with a comprehensive benefits program. See why ACP is a great place to work. ACP employees describe what they love about working for the second-largest physician group in the United States. 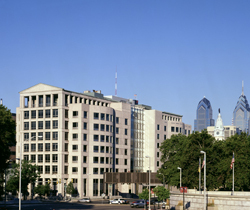 We have offices in downtown Philadelphia, PA and Washington, DC.